Congratulations to Cathleen who won a pair of The Yellow Polkas Covears! Thanks to everyone who took the time to enter and be sure to follow me on Twitter and Facebook to hear about more free giveaways throughout 2015! Interested in getting your own pair of Covears? Please click this link to purchase a pair today! 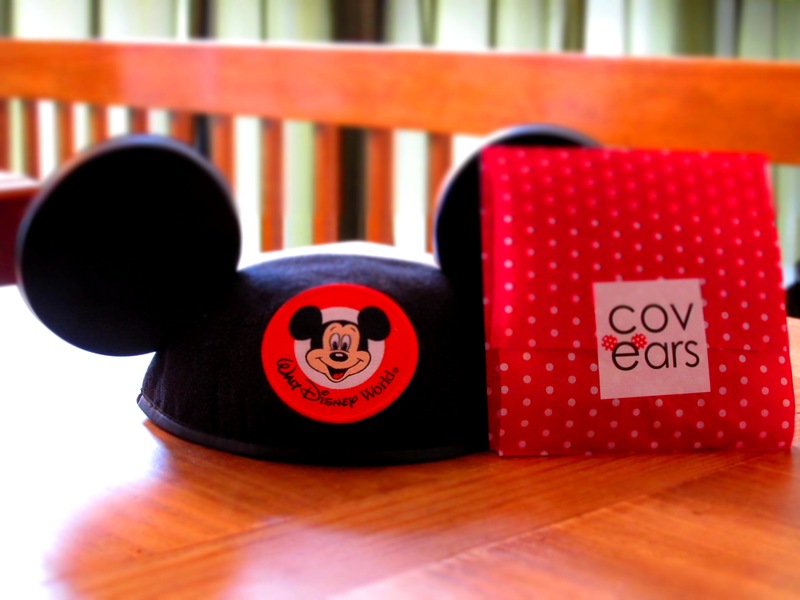 Have you seen these adorable Covears? A few weeks ago Jason and Taren, the founders of Covears, contacted me and asked if I would like to review a pair of these cuties. Of course, I jumped at the chance. In case you aren’t familiar with this new fashion trend, Covears are these fantastic fabric covers that slide right over the ears on your hat so that you can change it up to match your outfit or mood for a day in the parks. I was amazed at how quickly my Covears arrived. Their turnaround time for orders is just one business day and they offer shipping via USPS First Class Mail for $1.50 (no estimated delivery date) or Priority Mail for $6.10 (estimated delivery within two to three business days). Taren sent my Covears via First Class mail and they arrived in just a couple of days. The packaging was so precious, I almost didn’t want to open them! After I admired the wrapping and snapped a few pictures, I tore into the package. The first thing that I was impressed with was the fabric quality. The Covears are made of a nice polyester and Lycra blend so it gives them a smooth and sleek look. Next up was putting them on my ears. The process was super simple. They slid right on and in a matter of seconds we were trying them out! These cute Covears were exactly what we needed to brighten our snowy day here in Colorado! Covears are available for purchase on GetCovears.com. They are $9.95 per pair. They do not come with the ears hat. They fit standard youth and adult size hats. Covears are a great way to get a new look!